Any Mardi Gras veteran knows that planning for Carnival celebrations is the key to an amazing trip. New Orleans streets transform during Mardi Gras season. Crowds gather, parade floats pass, beads are thrown and often beautifully land in trees along the routes. Our ultimate tip for a perfect Mardi Gras is to plan whatever activities you can, especially since lots of businesses and restaurants that are typically open might have closures or varied hours for certain parades. 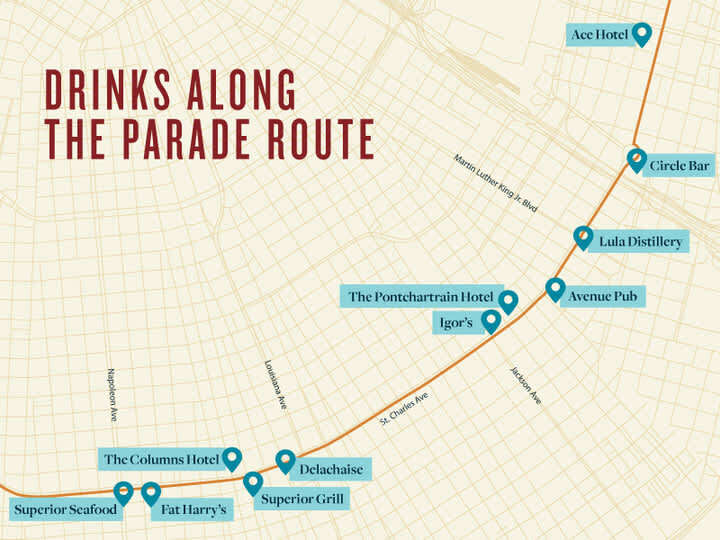 To make your parade stroll along St. Charles Avenue easier, we’ve decided to map out where to drink along the parade routes. Our guide starts from St. Charles Ave. & Napoleon and proceeds down St. Charles until you reach Canal Street. 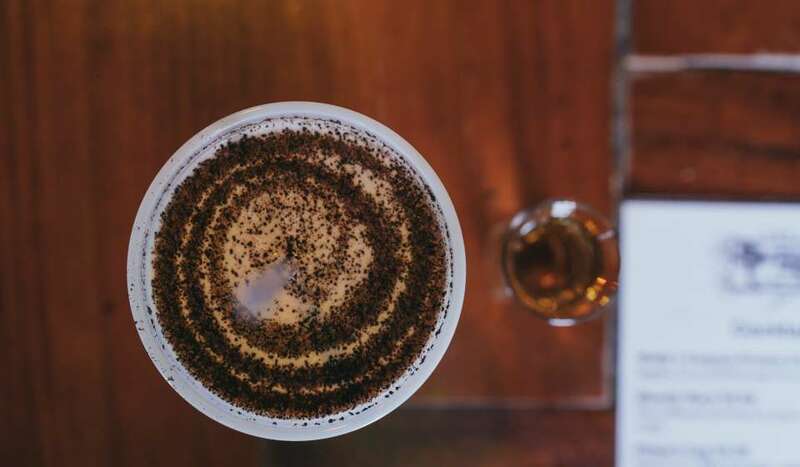 Don’t worry - we’ve called out some honorable mentions in nearby areas too, so no matter where you are, you’ll know where (and what) to drink. Superior Seafood is one of the best spots for parade viewing - it’s located right on the corner of Napoleon and St. Charles, where the Uptown parade route begins. For all of your frozen drink needs, stop at their bar that is set up outside of the restaurant all throughout Mardi Gras. Fat Harry’s is another prime location to watch the start of the Uptown parades, also on the corner of Napoleon and St. Charles. The atmosphere is a typical watering hole hangout, frequented by locals and college students. During Mardi Gras, expect extra drink specials added to their menu. 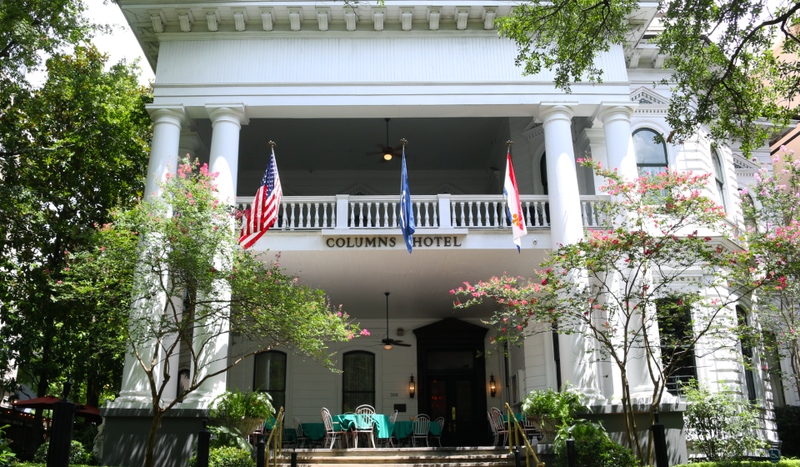 The Columns Hotel is a lovely, historic hotel located on the Uptown parade route. During most months of the year, it’s a beautiful Victorian bar to sip a cocktail and watch the streetcar pass. But during Mardi Gras, you can pay $15 for a wristband to enter the bar and have access to their restrooms and seating. Order food here if you’re hungry (we recommend the crawfish mac & cheese). The Mexican-dining sister restaurant of Superior Seafood has a to-go stand selling margaritas right outside its doors. These are an excellent choice if you want something to sip while you stroll. This cozy wine bar manages to retain its low-key, lovely atmosphere during Carnival season. While the outdoor seating here may get a little hectic due to parade-watching, the inside is a great little escape from the crowds outdoors. Also, get the duck fat fries. Igor’s is your typical dive bar situated in the heart of the Lower Garden District. If you felt the need to take a break from parades to play a video game or slot machine, Igor’s is your spot. Expect french fries and lots o’ beer. Feeling fancy? Step into the Ponchartrain Hotel, a restored historic hotel along the St. Charles streetcar line and Uptown parade route. The hotel has two bars to check out: the Bayou Bar in the hotel’s downstairs area, and Hot Tin, the rooftop bar with views of the skyline. Both bars will be serving specialty Mardi Gras cocktails, and in typical New Orleans fashion, they’re drinks you won’t be able to get in any other city. If you want to craft one for yourself, find the recipes below! Directions: In a flute, pour the Legendre Ojen then fill with cava. Top with 2 dashes of bitters and garnish with a lemon twist. This old, wooden pub on St. Charles Avenue is a quintessential NOLA spot for local craft beer. There’s outdoor and balcony seating, which is a huge plus if you can snag a spot during Mardi Gras. 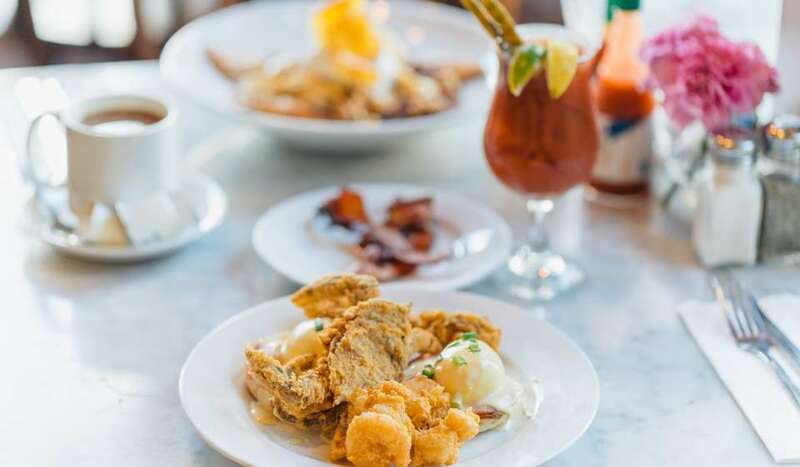 Lula, a micro-distillery in the Lower Garden District with indoor and outdoor seating, aims to create the perfect combinations of foods and spirits. Lula vodka, rum, and gin are all made with 100% Louisiana ingredients, so stop here for a fresh, Louisiana-made cocktail. And if you can’t make Mardi Gras (or if you buy a bottle of Lula alcohol to take home with you! ), you can still make Lula Distillery’s Original Caribbean Cocktail (a hand-shaken daquiri) with three simple ingredients. Combine all ingredients in mixing tin, add ice, shake, strain into cocktail glass (preferably a coupe glass). Yields a 5.5 ounce cocktail. Circle Bar is aptly named - it’s a dive bar right on Lee Circle, where the parades begin to turn towards downtown. Definitely a Mardi Gras favorite; the bar has live music, cheap drinks, and an amazing parade spot. The Ace Hotel is just a block off St. Charles Avenue, located in the Central Business District. The hotel has a restaurant: Josephine Estelle, which has a full menu and bar, as well as a lobby bar and a rooftop bar. Plus, it’s a super cool spot to hang out or stay. 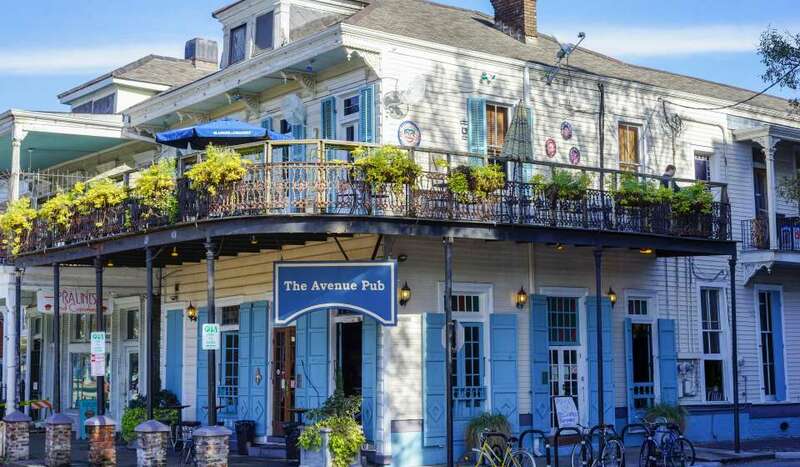 This downtown restaurant on St. Charles Avenue is famous for oysters, seafood, & its mean burger. Come for happy hour earlier on in the day to have a seat at the bar. This iconic bar is a real, spinning carousel. 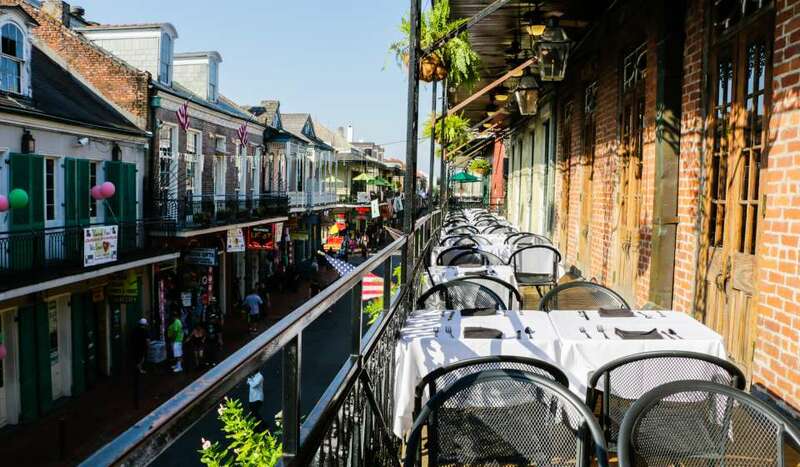 Stroll down bustling (and charming) Royal Street and take a spin. Bartenders are known to hop right over the bar to concoct any variety of New Orleans famous cocktails. 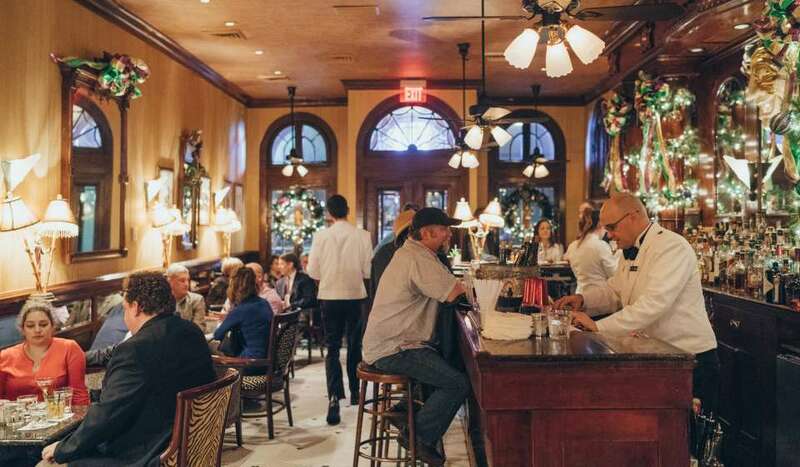 Molly’s is a classic French Quarter dive, and a necessary stop if you’re in the French Quarter during Mardi Gras. The bartenders are incredible, the atmosphere is laid back, and they’re famous for frozen Irish coffees. For a classic neighborhood sports bar that’s a bit farther from the parade route crowds, look no further than Henry’s. 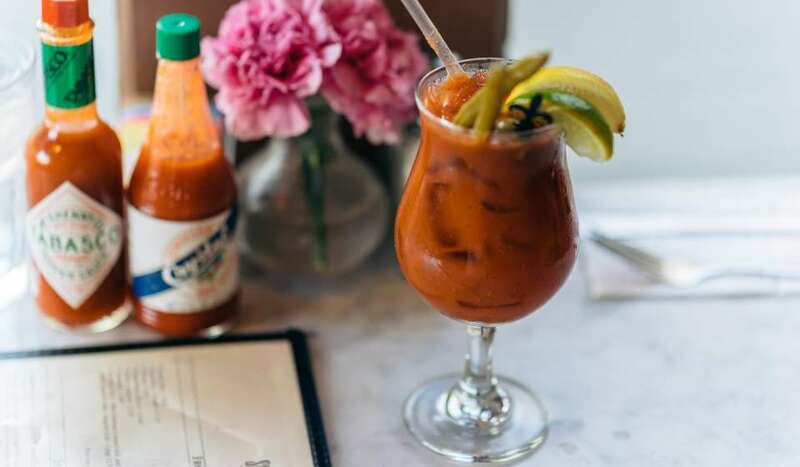 With cheap drinks and local crowds, it’s the best low-key break from St. Charles Avenue bars. At some point during Mardi Gras, you’ll inevitably crave pizza. 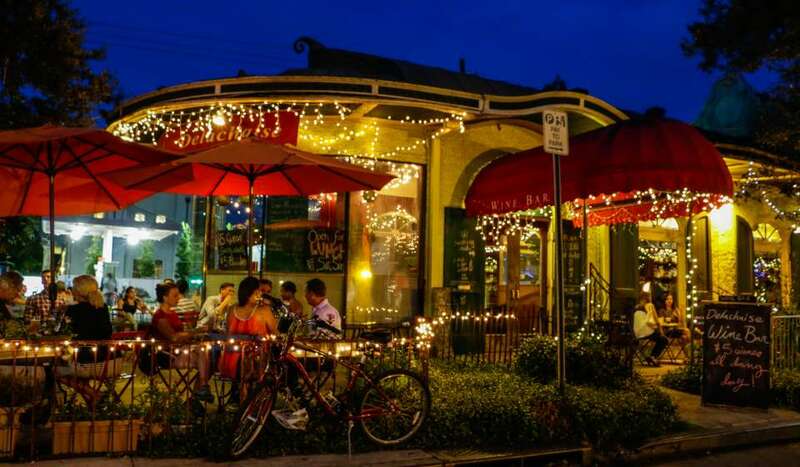 Right on Magazine Street, a few streets away from the parades, lies Pizza Domenica. This restaurant is always filled with happy customers - there’s a full bar, tons of varieties of pizzas (that are half-priced during happy hour), and televisions. Every day, the happy hour drink special is different. Some of the most iconic musicians in New Orleans (like the Soul Rebels, every week!) have played at this Magazine Street dive. The music is always great, so it’s the ideal place to catch local live music and a few more drinks after the parades.